Chip maker Qualcomm at its tech event in Singapore has announced two new mobile platforms- Qualcomm Snapdragon 630 and 660. Both the chipsets are mid-range chips, which will replace the Snapdragon 653 and Snapdragon 625 respectively. Both the new platforms bring noticeable changes on paper. Both the chips are built on 14nm manufacturing process and can support up to 8GB of RAM. The Snapdragon 630 can support two dual cameras up to 13MP+13MP, and the Snapdragon 660 has the capability of two 16MP+16MP. 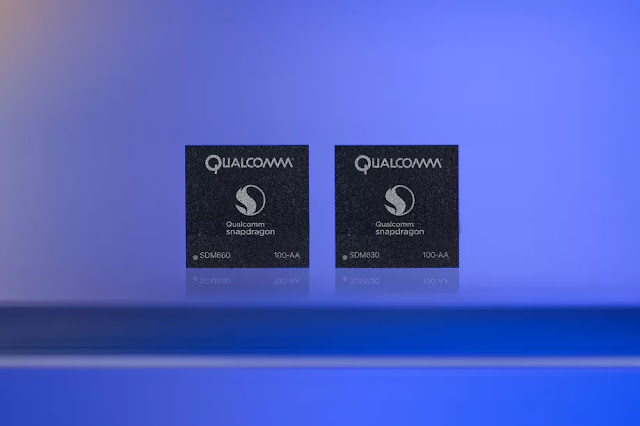 Both the chips has X12 LTE modem, which was earlier seen on Verizon and Sprint devices and even in the Snapdragon 820 SoC. The Snapdragon 660 and Snapdragon 630 now supports machine learning and advanced camera processing. That said, these chips are 20 percent and 10 percent faster than the previous generations. Qualcomm said that the Snapdragon 660 would be seen on devices from June and the Snapdragon 630 will be released in Q3 2017.